Welcome to episode 036 of the Me Being Crafty podcast, where we explore creativity in your life. 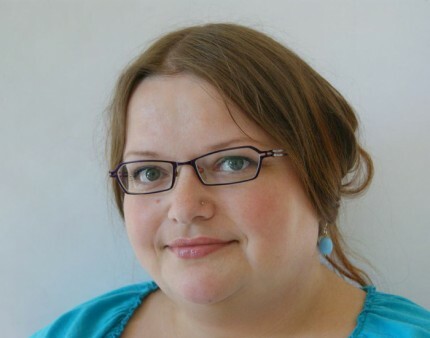 In this episode I talk with Carina Envoldsen-Harris of Carina’s Craftblog. She has beautiful embroidery designs and we talk about one of the clubs she offers. I have read Carina’s website for a little while now and I love her designs. I have previously purchased the Tree of Life design and also the Alphabet Motif Club that we talk about in the interview. Thanks for being on the show Carina! Carina’s Alphabet Motif Club comes with three projects, two tutorials, and the letters of the alphabet for you to use to decorate anything you can think to put a bit of embroidery work on. I love the club not only for the designs, but because it is such a great addition to her business. I’ve talked about mistakes to avoid when starting your subscription business, and advantages to offering a subscription, as well as questions to ask yourself before you get started. It is hard to get fair pay for a handmade item, so if you are interested in writing patterns this could be a good addition to your business. Carina recently updated her shop and you can find the club, the other embroidery designs she created, and a signed copy of her book Stitched Blooms in stock. Be sure to check out the trees bundle! These are so beautiful. Brand new is the Mini Embellishment Club! 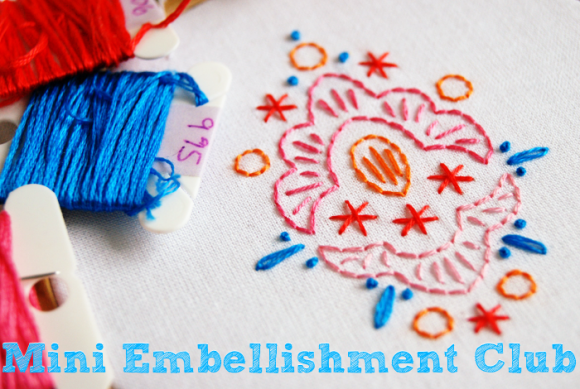 The initial round of the Mini Embellishment Club will run between April 13 and June 29. You will receive two motifs a week for a total of 24, along with three projects you can make to embellish with a design. And for Me Being Crafty readers – use the code MEBEINGCRAFTY for 10% off until Friday, March 20. Where you can find Carina – Carina on instagram – Carina on twitter – instagram – musicians: soundcloud? – photo gallery? Listen to episode 036 and let me know if you’ve taught someone how to embroider. This is fairly easy and there is almost instant gratification because a project can be completed quickly. Leave me a comment and let me know how you were creative today. Me, I’m working on mini quilt swaps! Welcome to episode 035 of the Me Being Crafty podcast, where we explore creativity in your life. In this episode I talk to Jessie Keating of Tiny House about what it was like to be a super volunteer during QuiltCon 2015. Jessie and I met a few years ago when we were both looking for a roommate for the second Sewing Summit. We luckily clicked and got along well and have kept in touch over the years. She and her boys came to France last year and my daughter and I met up with them and another friend of ours for a few days. Thanks again for being on the show Jessie! During QuiltCon Jessie was a super volunteer, which means she volunteered 16 hours over the course of the event. She talks about her moment of meeting someone who has been a huge influence to her in sewing and quilting and Jessie is just such a genuine, nice person that I am thrilled that she got to meet her fabric design idol. 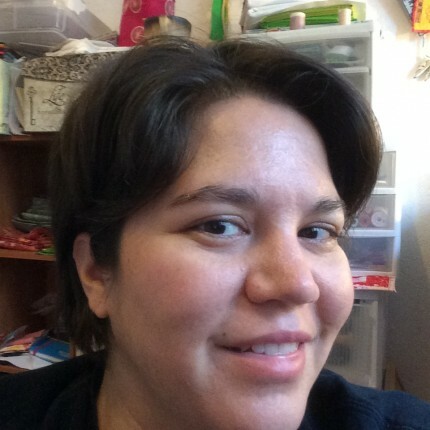 Jessie also talks about how volunteering at QuiltCon was something she wanted to do to put herself out there because she struggles with social anxiety. It can be so scary to go somewhere new, you may not know anyone or you only know a few people, and to do something to on purpose put yourself in a position you are just not comfortable being in. She is thrilled she attended and came away with memories of having a really fun trip. Listen to episode 035 and let me know when it was that you put yourself out there. What was your experience like? Leave me a comment and let me know how you were creative today. Me, I’m quilting a baby quilt! Welcome to episode 034 of the Me Being Crafty podcast, where we explore creativity in your life. In this episode I am talking about how you can be creative when you are sick, how to get past the feeling of not having any motivation, and how to battle burnout. Being Creative When You Want To Lay On The Couch – when laying on the couch means you are sick (or your family is sick), you have no motivation, or you are battling burnout. We had a couple of weeks of being sick and it was tough to still be creative because I am working on the year of making and I didn’t want to miss a day. Maybe the easiest way to get some motivation back is to get out of the house for a bit, even a fifteen minute walk can be great. And fighting burnout can be tough, but you can work through it by taking time for yourself. This is so important no matter what your hobby or job is, take time for yourself. Listen to episode 034 and let me know your tricks to getting motivated again and staying away from burnout. Leave me a comment and let me know how you were creative today. Me, I’m designing more baby quilts! I want to have all of them finished before I get the baby quilt club ready to sell! Welcome to episode 033 of the Me Being Crafty podcast, where we explore creativity in your life. In this episode I talk with Renelle White Buffalo, a fine artist currently living in New York City, and owner of White Buffalo Art. Renelle and I are from the same place, though I am older than her and we grew up in different towns. 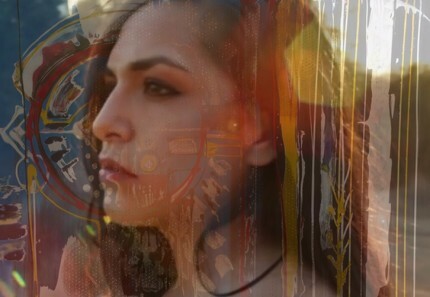 I am always happy to find a new (to me) Native artist online and I am so glad that Renelle is a guest on the show after connecting on social media. Thanks again Renelle! After graduating college, Renelle packed her bags and moved to Los Angeles where she had the opportunity to participate in Latagraphica which was a Red Bull sponsored event. During the event, Renelle painted a mural over five days and if you are ever in Los Angeles, head to North Vendome Street and Sunset Blvd to see her work. She recently moved to New York City and I am excited to see what she comes up with next. Be sure to stop by her website, White Buffalo Art, to see the paintings and prints that she has available so you can add something to your collection! She also has links to the collaborations she has done so you can see other various products. The latest is a tote bag made from her drop cloths, this is a collaboration with her cousin and the Chop Siouxy store in LA. Twenty five percent of the proceeds from the sales of the White Buffalo tote bag are being donated to the White Buffalo Calf Woman Society women’s shelter in Rosebud, South Dakota. Listen to episode 033 and let me know your favorite piece that Renelle has created. Leave me a comment and let me know how you were creative today. Me, I’m working on a baby quilt top that will be shown during a blog hop later this month. Welcome to episode 032 of the Me Being Crafty podcast, where we explore creativity in your life. In this episode I talk to about my experience subscribing to various creative or craft boxes over the years, and offer encouragement to creative businesses in offering their own items. I am talking about subscribing to a service as a form of inspiration. Often asking “what inspires you?” can sound cliche, and someone will give you a canned answer because everyone asks them so they come up with a for everyone answer. Let’s change that. Let’s ask different questions! There are various online fabric shops that offer subscription services. They deliver fabric to you monthly, following various themes. If you are a creative business I’ve written about this recently – see 5 Mistakes to Avoid in starting a creative subscription service, 4 Advantages to creating a subscription service, and 3 Questions Before Starting your Creative Subscription service. This is a fantastic way to add to your loyal customers and have regular monthly income. Listen to episode 032 and let me know your favorite subscription service! Leave me a comment and let me know how you were creative today. Me, I’m fairly focused on beadwork! Welcome to episode 031 of the Me Being Crafty podcast, where we explore creativity in your life. In this episode I am recapping a a few more of the early episodes I did, this time episodes 008-014.You may have noticed that I changed the intro to the podcast and I am super excited at what is to come! I’ve been online for years and years (read my story here) and am thrilled to move in this new direction. You may notice that this blog post is a day late – sorry about that! But if you subscribe to the show, you got the podcast on time on Thursday. My vision for the show was to talk about what someone does to express their creativity and I realized right away that sharing how people got started – how they grew up – what the first thing they made was – who taught them to make whatever craft they were doing – these things are important. I firmly believe that we need to know our past – we need to know where we came from not only who taught us when we were young, but who taught them. The story of who a person is, is often a wonderful one. And while I will still be talking to creative people, I am also going to also focus a bit more on the business side of things because one of my favorite things is to see and talk about the behind the scenes of it all. When the Oprah show was ending, they did a Oprah Behind the Scenes which was all about her staff and the guests and the work that went into producing the show – and I really loved that. So look for more of that to come! 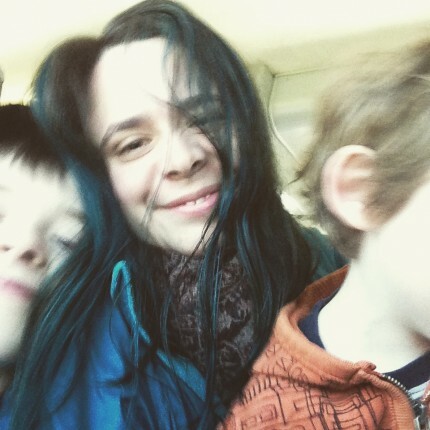 I had a good visit with my friend Andrea House of Tickled Peach about being creative after you have children and how that changes things. Andrea struggled with postpartum depression and anxiety after her sons were born and for her that meant she felt alone in everything. Postpartum depression is common and if you need help, please ask for it. It can be hard when you have little kids and any creativity you have can often be put aside while you care for them. Andrea and I talked about the role that social media can play because people often show the nice parts of their day – the clean houses and perfect looking living rooms. And I’d like to say a big congratulations to my friend Andrea, she recently announced she and her husband are expecting another baby! 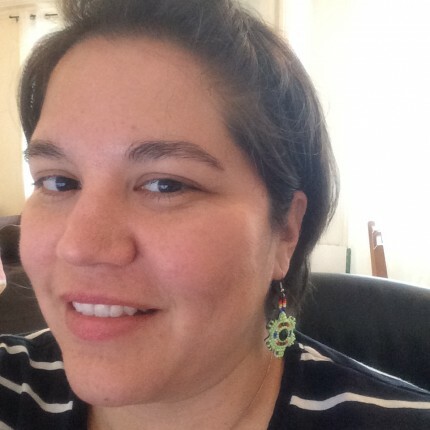 I have been contacting some Native American artists so I can share their story with you on the podcast and the first native artist I spoke with was Alorha Baga. 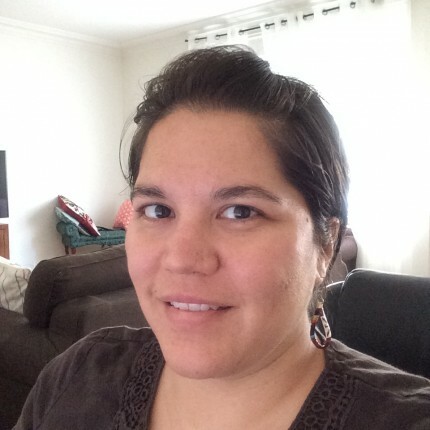 Alorha is a beadwork designer and teacher as well as a youth group coordinator currently living in California. Teachers of all aspects are important so if you have the skills to each something, I hope you are doing so! Allison Dutton recently shared a freezer paper tutorial and I’ve never done that kind of sewing so I am excited to try. Allison is blogging over at Allison Sews and I love her sewing and I encourage you to check it out. She has pattern tested for a few different projects so look for those if you are looking for a new pattern to try. I am so excited at what Tracey Wirth is working on! She has been sharing fabric designs and she has been very proactive in her journey toward being a fabric or surface designer. When I interviewed her she said to be sure not to let technology hold you back from trying something – to fabric design or quilt design you often need to know some different computer programs but don’t be scared to trying them out. Tracey has shared that she’s taken a class on the Creative Live website as well as made cold calls to fabric companies to set up meetings. I love that she is putting herself out there like that! In episode 12 I talked to Sandi Sawa Hazlewood about her journey with quilting. Sandi started out in the scrapbooking industry and when she turned to quilting, she jumped right in. She talks about her first purchase being during a vacation and that she bought five yards of the same fabric. Her experience in the scrapbook industry was a big help with her quilting because of what she learned about color and also taught classes. I met Nicholas Ball when I attended the Fat Quarterly Retreat in London last summer and I was struck by the Vegetable Patch Quilt he made. Nick’s advice is to just do it – don’t be scared to mess up or not put something together the right way. you can’t have success unless you have failure. Nick posts his work including quilt blocks he makes for swaps and he also has shared a tutorial that featured a tree quilt block, which I used to make a mini quilt. 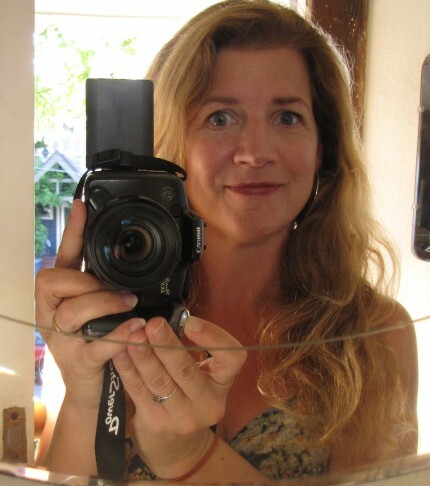 Christa Watson has been teaching for over 17 years and sewing for over 20 years. You definitely need to stop by her website because she shares tutorials and her patterns and quilt alongs. I love quilt alongs because you can see what others are making at the same time as you are, but also because the breakdown of the steps is left on the website long after the quilt along is finished. I have found that people will also share any tips for sewing something along the way, maybe there is a more efficient way to make a block or section of a quilt, and it seems like there are always modifications that people make to a bag or purse. Christa also shared her advice to just go for it because the voices that are doubting you are often only in your head. Once again I am thankful to my friends for being on the show. Everyone has great advice to share about crafting, and most of it has been quilting, but the principles can be applied anywhere. Don’t be afraid to do something. I am still making something every day and I am making a lot of progress on my projects. I always have a long list of things to make and it’s fun to see something come together when I look back at a week’s worth of photos. I hope you have been able to be creative every day – or at least as often as you can. I realize that I watch a lot less tv when I am really focused on making stuff. Listen to episode 031 and let me know what you are working on! Leave me a comment and let me know how you were creative today. Me, I’m quilting a baby quilt. Welcome to episode 030 of the Me Being Crafty podcast, where we explore creativity in your life. In this episode I talk to Charise Randell of Charise Creates. You need to check out her website – her paper pieced patterns are stunning! I found Charise because of the Vintage Block Along. This is a set of 12 paper pieced patterns she created and posted for free on her website. Thanks again for being on the show Charise! Charise started sewing when she was just six years old. She started with designing and sewing clothes for Barbie dolls, which led to a career as a women’s wear apparel designer that lasted 20 years. Charise shares a lot of free patterns that include paper pieced blocks and projects as well as clothing patterns. She also has her apparel design portfolio on her website. I think it is so great that she is now designing for herself and is starting a company that is focused on her designs. The paper pieced patterns that she creates are a bit more complicated than other patterns you might see, but the results are so great. She uses some really great fabrics to aid in the design and creation of the blogs. The use of various text prints look so good when they are on the handle of something. She mentioned a few favorite shops which include Sew Me A Song, and Sew Deerly Loved. The fun part about making something with a paper pieced pattern is that you sometimes don’t need a large piece of fabric so you can feature a beautiful print or a few words. I am looking forward to seeing what Charise creates this year! She is focusing on clothing patterns for her own company so keep and eye out for what she publishes. Listen to episode 030 and let me know your experience with paper pieced patterns. Leave me a comment and let me know how you were creative today. Me, I’m sewing quilt blocks for my swaps.